Writing with the benefit of hindsight, and a little extra sleep after the end of the study abroad program brings into sharp relief how much of a once-in-a-lifetime experience it was. It was, perhaps, the single greatest twenty-five-day period that I’ve had thus far, and it is certainly the highlight of my time at UW Bothell. As I head into my final year here I believe that the lessons I learned and things I saw and felt will prove to be of incalculable benefit to my education as well as my career after I graduate. 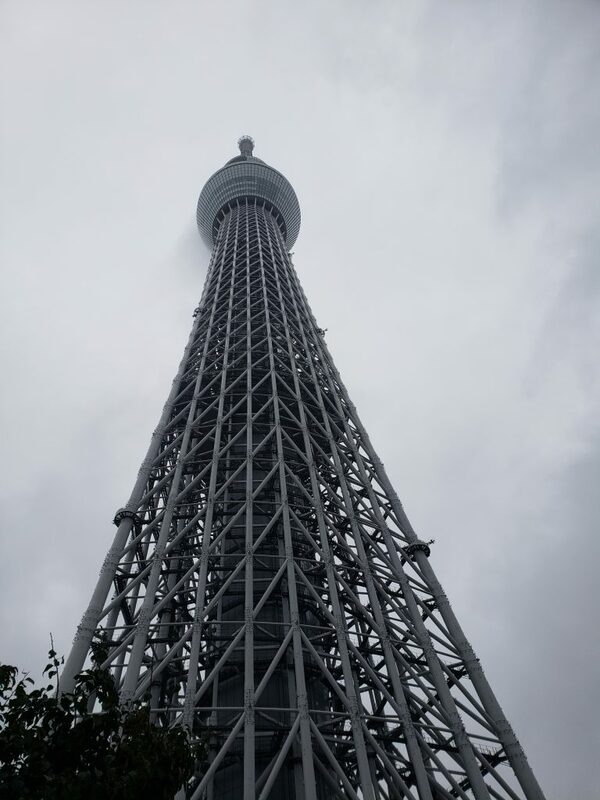 The Tokyo Skytree—incredibly, mindbogglingly tall, so tall in fact that the observation deck is fully within the clouds on overcast days; a very kind staff member dissuaded me from paying the admissions fee to go up in this weather. One of the greatest strengths of this program, compared to simply going on a vacation to Japan which would have been at least somewhat cheaper, was the sense of unity that came from travelling with a group of one’s peers. I am a bit of a shy person, so I felt much more comfortable going out and exploring when I knew that there was a stable base acting as an anchor. Obviously, there are numerous other benefits, especially in the opportunity of going to places and talking to people that any random person on vacation can’t visit or speak to; the five academic credits also sweetens the deal. One course of our final group dinner together. Needless to say, it was delectable. A curious benefit of traveling abroad is one is able to experience natural disasters which are not particularly common in the region of the world in which they live. During this trip to Japan our study abroad group has been able to experience the rage of a typhoon for the first time in many of our lives. Unfortunately, it also served to interrupt a fair amount of the middle portion of our trip. 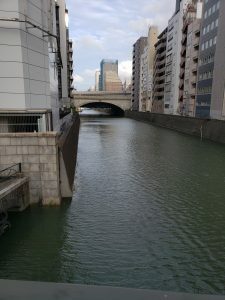 We had traveled to Hiroshima via the Shinkansen, an ultra-fast high-speed rail system while we watched the ominous arrival of Typhoon Number 21 (In Japan, typhoons are not given names but instead are numbered sequentially for each typhoon season) in the southern islands of Japan. 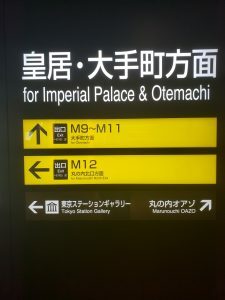 We decided to cut our trip to Hiroshima short and stay overnight only because we learned that there was a virtual guarantee that all the train systems would be shut down the next morning in anticipation of the typhoon’s landfall. Therefore, we woke up early and attempted to catch the very last train to Kyoto, our next destination, before this happened. It was actually fairly exciting “racing” the storm to our next hotel, a race we managed to win. The weather on the day after the typhoon left no evidence of the destruction of the day of. The storm itself was a little bit terrifying especially when you start to hear the lashing rain and feel screaming wind shake the concrete building you’re in. We did survive it though, none worse for the wear and the next day was beautiful and tragic, as the weather was lovely but the damage from the typhoon was apparent in the trees toppled, glass shattered, roofs damaged, and shrines collapsed. 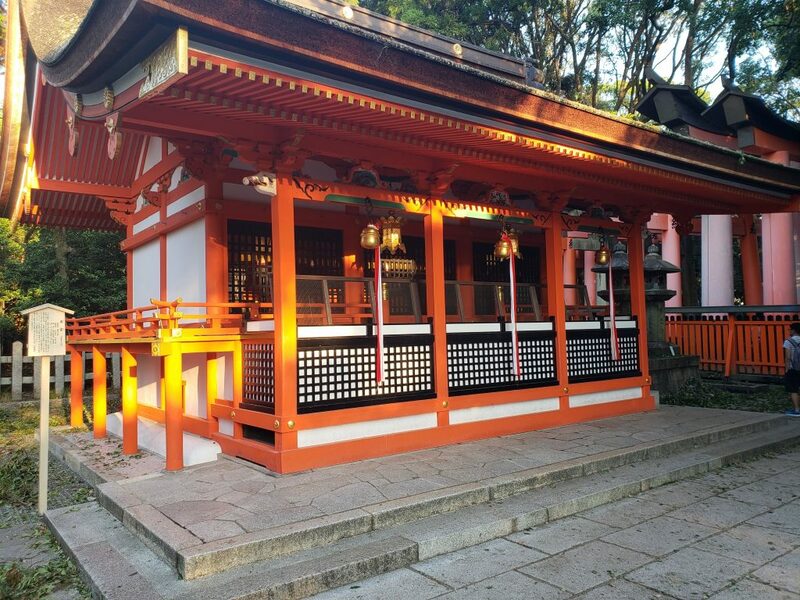 A small part of Fushimi-inari Shrine, which extends far up to the summit of a nearby mountain; unfortunately the damage from the typhoon was severe so most of the shrine was closed off because of fallen trees. Kyoto was an amazing city to behold especially when you consider that the city, having avoided destruction by bombing raid during the Second World War, was filled with buildings which long predate the United States’ existence. Something that may seem somewhat unlikely in the United States since there is relative dominance of Christianity within American religious practices was, in Kyoto, the relative parity between numbers of Shinto shrines and Buddhist temples (two of the major religions of Japan) and the mixture of them within similar spaces. I heard a saying once that 70% of Japanese people are Buddhist and 70% of Japanese people are Shintoist, something that is born out the places of worship in Kyoto, the ancient capital of Japan. Kinkaku-ji or the Temple of the Golden Pavilion is one of the great temples of Kyoto, and a tremendously popular tourist attraction. Sept. 4th 2018, Blog by Caleb Schooler. Hajimashite. Watashi no namae wa Caleb Schooler desu. Washington daigaku gakuesei desu. Yoroshiku oneigaishimasu. Nice to meet you. My name is Caleb Schooler. I’m a student at the University of Washington. I hope we can get along well. This self-introduction that I memorized before my study abroad trip to Tokyo, Japan started has served me well as I try to navigate the vagaries of a culture quite different from my own. Often meetings begin with an exchange of business cards in a highly formalized ritual (although college students are not yet expected to carry them) so it is reasonable to say that first impressions are extremely important in Japanese culture. If that’s the case then Japan itself presents itself in a way most favorable as you travel from the distant international airport of Narita into the heart of Tokyo itself, endless skyscrapers, floods of people, shining lights, delicious food all for miles and miles, as far as the eye can see. It is, in a word, overwhelming, especially as a first-time visitor. There are also quieter places all around the city. 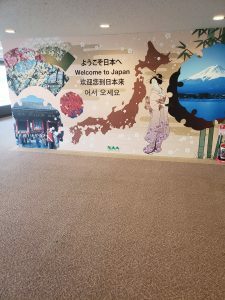 I was nervous before I left, and even more nervous as I made my way to my initial lodgings because of my limited Japanese skills; I was relying on half-remembered lessons from high school and what I could brush up on before the study abroad program began. I want to say this emphatically for anyone out there reading this and who might hesitate to visit Japan because they are afraid they wouldn’t be able to read any signs or understand anyone; there is a tremendous amount of English on hand in Japan, especially within public transportation (which is extraordinarily safe, reliable, and timely). 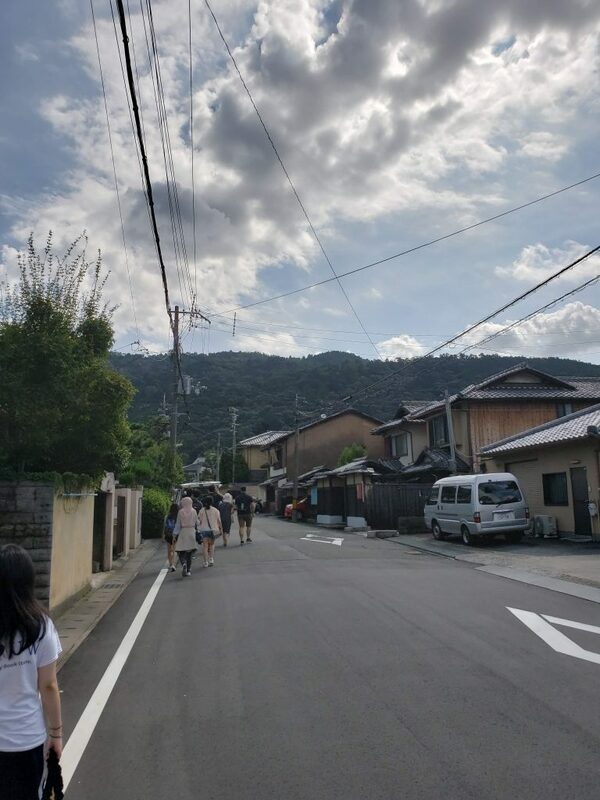 I’ve never felt like a lack of Japanese skills were holding me back, but I also imagine that with a greater understanding of the language than what is experienced unofficially, outside of the study abroad program itself, would be all the greater. 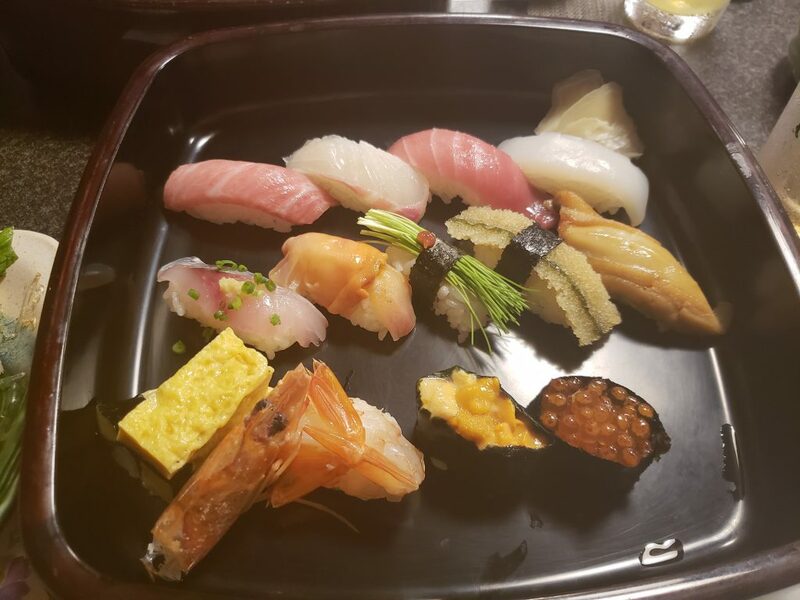 As it has happened for me, I am confident that some of the greatest experiences I’ve ever had in my life have occurred while I am here in Japan. Practically all signs are rendered bilingually or tri- or with even more languages. By way of example, this is actually a little bit of an embarrassing story, I lost my mobile wi-fi device (Japan has, surprisingly, pretty spotty public wi-fi) on a train which would mean I would lose access to any reasonably convenient internet access. I wasn’t even sure which train I lost it on, or what train car I was in, but, by pantomiming with a station attendant and using my broken Japanese and his broken English, my mobile wi-fi was returned to me in less than 15 minutes. I thought, at that point, that this is the kind of service that Japan is legendary for. It was an astounding customer service experience, all the greater since I had resigned myself to having to buy a new, very expensive device. 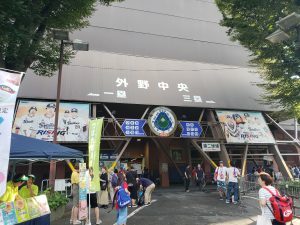 A trip to a baseball game in Japan is one well worth it, even if one isn’t a fan of the game. Tokyo is, especially, amazing to someone like myself who has never been to a truly massive city before. There is such a tremendous diversity of activities at hand that it is quite impossible to ever be bored. 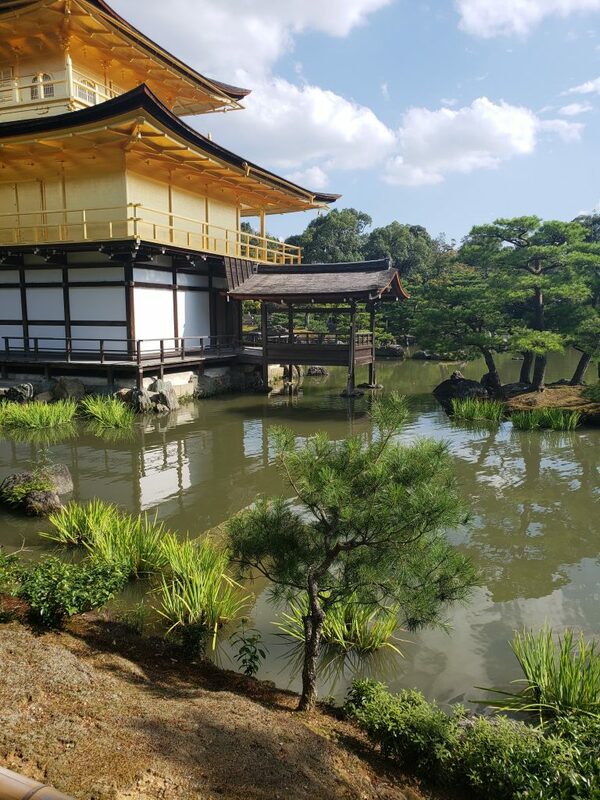 As part of the study abroad program we’ve had the chance to travel to several extraordinary museums, shrines important in the Shinto religion, parks, ancient shopping districts, a baseball game and more. I can say, quite confidently, that this is a trip that is impossible to regret, and it is all the better to receive college credit for it at the same time!